ALEXANDER, Dr John Pentland, died 9th February 2019, after a short illness, surrounded by his loving family. Devoted husband to Mildred, loving Dad to John and wife Tanya, Hazel and husband David, loving Grandfather to Beth, Emma, Sarah, Antonia, Louisa and Lars. A funeral service will be held on Thursday 14th February 2019 at 12 noon, Saint Nicolas' Parish Church, Lisburn Road, Belfast. Family flowers only please donations in lieu of flowers if desired to Royal Victoria Hospital ICU and Belfast City Hospital ICU (cheques made payable to David Crymble and Sons) c/o David Crymble and Sons Funeral Directors, 799 Lisburn Road, Belfast, BT9 7GX. 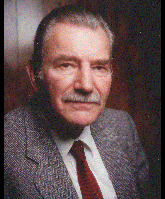 I am sorry to tell you that Dr John Pentland ALEXANDER has passed away.